I feel like I am not up to the mark when doing my formal Business presentation, so I need to know what all the do’s and dont’s to carry out during the presentation? Can you tell me some tips to have a effective presentation? Re: Do’s and Dont’s to carry out in our formal Business presentation which we do? Tips to have a effective presentation? Not to worry i will give you tips which can make your presentation effective. 1.To be bold and confident is very important for doing a effective presentation. 2.A good eye contact can make a presentation good enough. 3.Prepare the presentation in neat mannerism so that it cristal clear. 4.Be more informative and expressive. 5.Good body language is necessary. 6.your presentation should be short and sweet. 1.first and foremost is don't get afraid when you present. 2.Don't show your back while presenting. 3.Don't tie your hands while you present.Body language shoul be highly maintained. 4.Don't repeat the points again and again. official presentations are really important and it should be presented in an effective way. 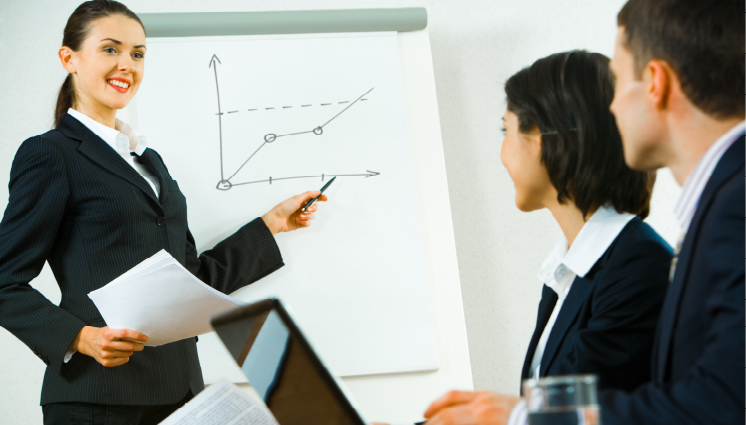 -->> Start your presentation with topic of the presentation. -->> make your ppt impressive. -->> Do not crowd your slide with extra points. -->> give your presentation confidently. -->> maintain a good body language. -->>Give some time in thinking about what you are going to say regarding that topic. -->>Make sure you just write important points in your ppt rather than full paragraphs. -->>Make your ppt with lots of diagrams and it should be looking good. -->>Be clean shaved and wear ironed clothes. -->>Before starting greet your seniors and other members. -->>Finally speak with confidence and you should be well prepared to answer any question that comes your way. There are various things that will help to give a better Business presentation..
--First of all dress good and formal..
--Gesture :your gesture should good while standing..
--start with a motivation quotation..
--use low and high in the voice..
--prepare before the presentation the contents of the presentations. --have confidence and faith in yourself.. Since you are explaining them the content, then make sure that you have complete knowledge of it. Complete knowledge will help you to answer the quieries if anyone asked. Your voice must be auidble, i.e easily listenable to everyone. You should make an direct an eye to eye contact with everyone. Whenever anyone asks the query, listen it carefully and then only answer the same. You need to have the good communication skills. Your's dressing should be completely formal. These days many technical equipments have been to make the presentation better. First of all I would like to tell you if you are giving a business presentation it should be highly formal and should follow all the protocols. * Your Ppt should not be a lengthy one, generally 8-12 slides are best. * Do not commit spelling and grammar mistake. * Do not wear casual attire. * Do not follow casual approach with the members. * Do not speak too fast. * Do not tie your hands or lean your back on chair etc during the presentation. * Do not confuse people watching your presentation. * Do not just read the words written in your slide without ant explanation. * Your presentation should be precise and point wise. * Use more and more figures and values in your ppt instead of words. * Should check all the properly before giving presentation. * You should be calm and confident while presentation. * You should use the language which makes your speaking interesting. * Should ask for queries in the end. Do's and Dont's carry out in our formal presentation which we do? Tips to have a effective presentation? That's really a awesome feeling to give presentation.There are various things that will help to give a better Business presentation, but there are some thing that you should not do in presentation time period.professional presentation define your whole business. -> Presentation slide : In your presentation slide should not more content, text should be simple and attractive.Write a clear statement in your presentation. -> Eye Contact : make a eye contact with everyone in the room. I heard many time that they nervous in front of their boss, teacher but you should keep in this mind that your eye contact show confidence. -> Entertaining voice : You should try to speak entertaining and informative. I’m not saying you should act more entertaining but just try that audience get not bored with your presentation. -> “That’s really a Good Question”: You can use some statements like, “that’s a really good question,” or “I’m glad you asked me that,” and after saying that you can give answer. -> Give Time to Audience that they ask quires about your presentation. -> try to give full explanation of asker, he must be satisfied with your answer. -> Try to Avoid using Complicated Words. -> Don't dress up like unprofessional. -> Should not try to just finish your presentation. -> Don't be act like a foolish try to speak easy and understandable English. -> Don't afraid from audience. Official presentations are really important and it presented in official way. Just maintain voice quality it must be listenable. And In your presentation slide just highlight the headings of important points. Since you're explaining them the content, then make certain that you simply have complete information of it. Complete information can assist you to answer the queries if anyone asked. Your voice should be sonic, i.e simply list modify to everybody. You should create associate degree direct a watch to eye contact with everybody. Whenever anyone asks the question, listen it rigorously then solely answer identical. You need to own the great communication skills. Your's dressing ought to be fully formal. These days several technical equipments are to form the presentation higher. Your Ppt shouldn't be a extended one, typically 8-12 slides ar best. don't commit orthography and descriptive linguistics mistake. don't follow casual approach with the members. don't tie your hands or lean your back on chair etc throughout the presentation. don't confuse individuals looking at your presentation. don't simply browse the words written in your slide while not hymenopteron clarification. Your presentation ought to be precise and purpose wise. Use additional and additional figures and values in your ppt rather than words. ought to check all the properly before giving presentation. you must be calm and assured whereas presentation. you must use the language that makes your speaking fascinating. ought to provoke queries within the finish. How to make an effective communication? How and what to prepare for it? How to expand business and approach customers in books dealing business? Preparations required for Annual Review meet and important things to carry for the same? How to prepare Business proposal for a school?